Renault 8 Gordini & Alconi Fantastic South African Motorsport Successes, 1962-1969. 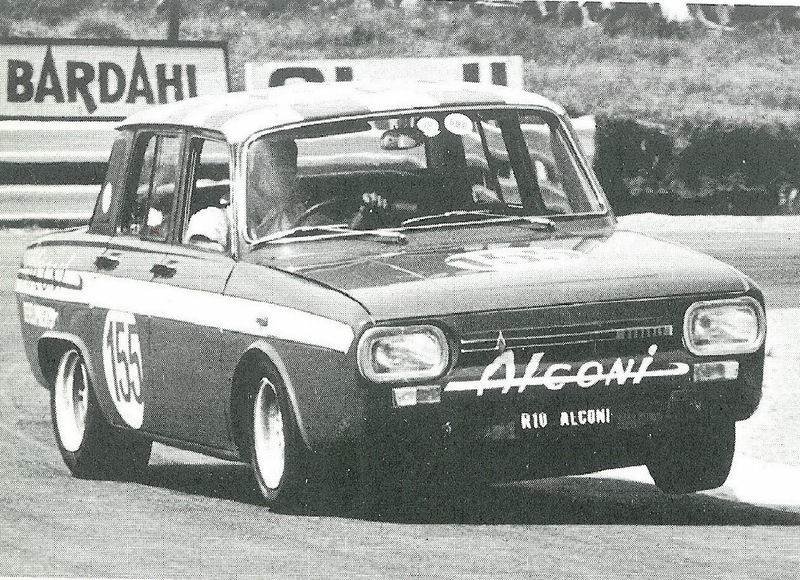 Because the public in South Africa were "performance car" mad, successful competition achievements formed an integral part of the marketing plan for "Alconi" and "Gordini" sales. 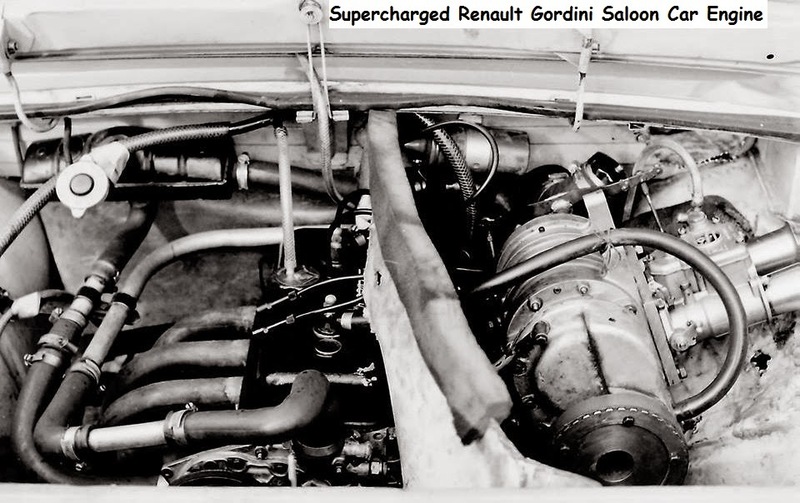 This R8 Gordini ( which had many different parts, and could not be fitted as a kit) in 1255cc form had a 5 speed gearbox, and could accellerate about 5% faster than the Alconi, with top speed about 10% higher, and cost about 25% more than it. 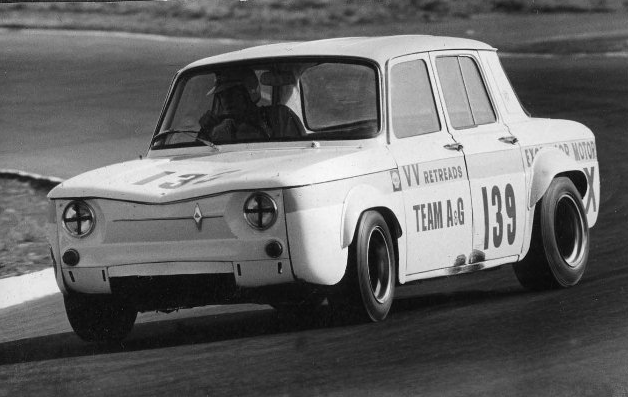 For racing purposes its power potential was superior, and racing participants opted for Gordini 1300cc powerplant with many Alconi produced parts in most events therafter. 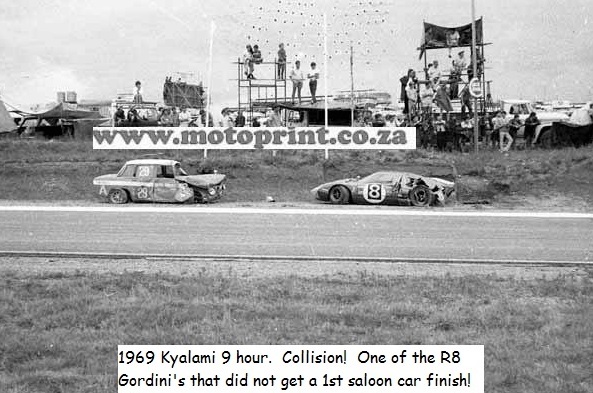 An R8 Alconi (1108cc) did win the inaugural 1966 Kyalami Onyx production car championship, with an overall win in the season's final race (ahead of a Sunbeam Tiger V8). 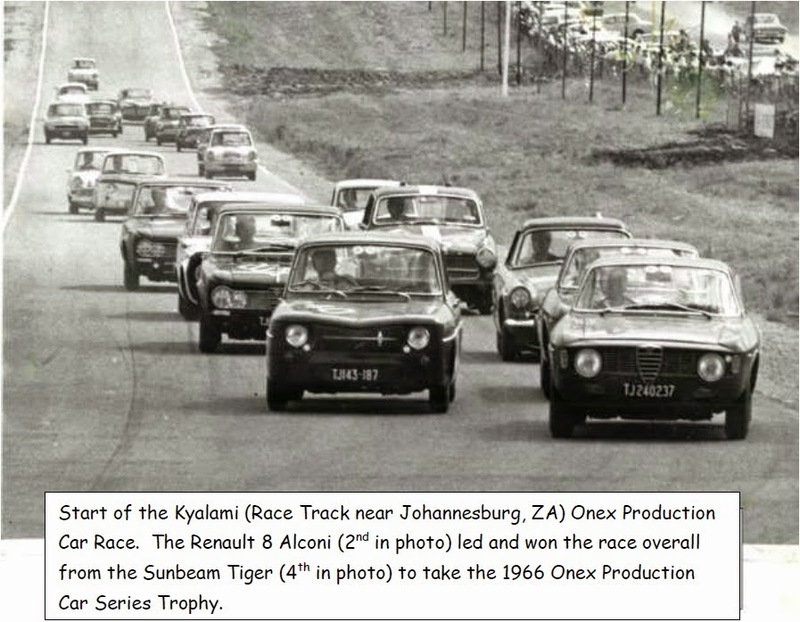 "Onyx" was a Kyalami (race track near Johannesburg) annual racing series with a number of sprint events for locally made cars, classes based on retail price. Alconi vehicles also offered superior fuel economy to the standard Renault 8, which was already a class leader, so they accumulated overall wins almost every year in the annual "Mobil Fuel Economy Run". On many sections, more than 60mpg was recorded. 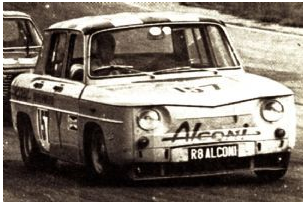 Renault Gordinis, (usually with many optional Alconi built racing parts) were dominant in their class - often featuring in overall results - in modified saloon car sprint racing (Scamp Porter won nearly every 1300cc class race and Geoff Mortimer mainly dominated the 1000cc class against the latest Anglia and Mini Cooper S race-winning vehicles imported from the UK) for the next few seasons. 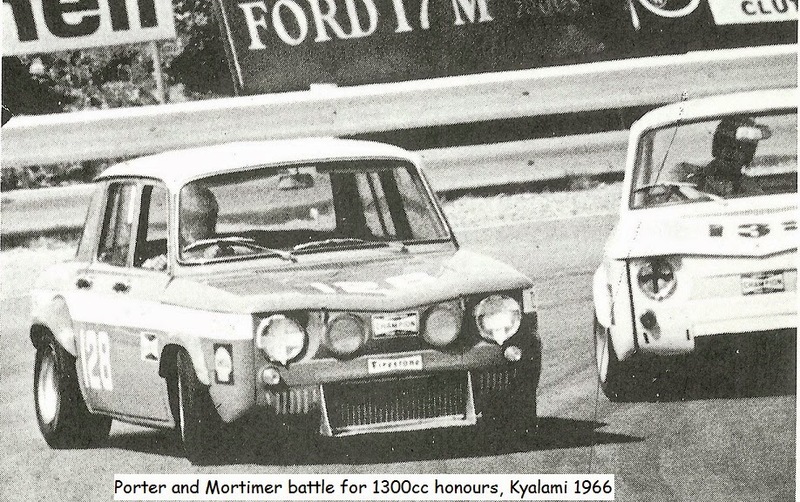 Mortimer had this to say in a much later interview with "Ride & Drive magazine"
Q: Group N racing brought you success in the Renault Gordini in particular. 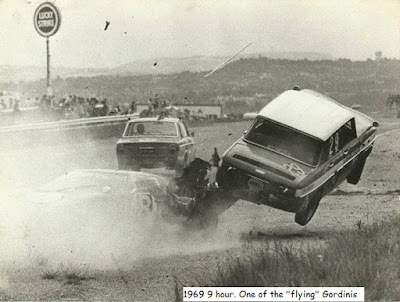 Tell us more about the Gordini? GM: The Renault 8 Gordini of the 60s and 70s was truly a remarkable car. In South Africa in the hands of Phil Porter, Chris Swanepoel and Louis Cloete it was a very successful rally car. In the National SA Saloon car racing category the car was very successful with myself, Scamp Porter and Jody Schecktar as main drivers. 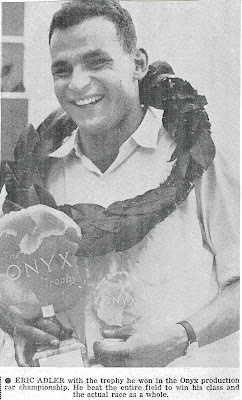 In long distance races we teamed up with the rally drivers to take numerous index wins in the famous Nine Hour race and Springbok Series. The car was probably the best handling rear engine production car in the world at that time and needed very little in the way of suspension changes to make it a fantastic handling race or rally car. 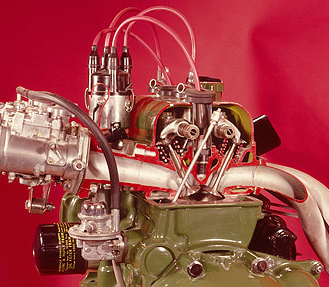 The engine was a brilliant development by Amedee Gordini of the current 1100cc (and later 1255cc) Renault R8 engine and lent itself to race and rally tuning. The 1000cc version was developed by myself and Scamp Porter in the late 60s to compete against the very quick Minis it developed 123bhp and revved to 9000rpm. And the Renault 8 accumulated an unmatched endurance record from it's very introduction in 1963, which no doubt helped vehicle sales. 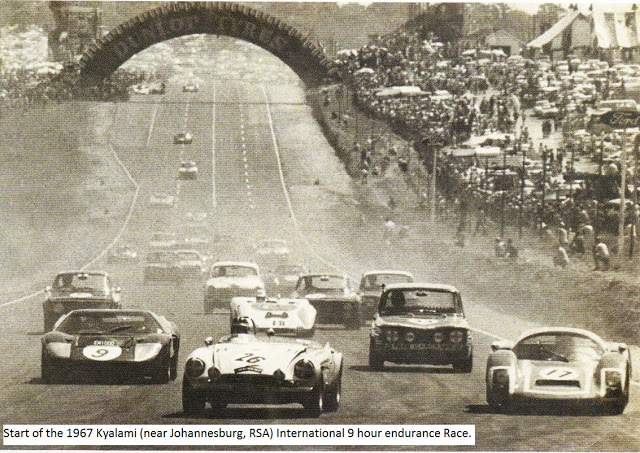 Produced in South Africa for 7 years, endurance raced in the Kyalami International 9 hour for 7 years - 6 first placed saloon cars home, 1 second place! 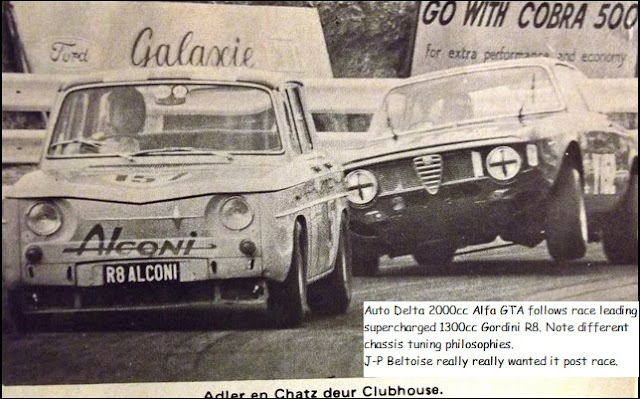 Ahead of all saloon cars and many outright racing cars. No other vehicle, South African or overseas professional, achieved the R8's endurance racing success, proving the vehicle's startling race handling and performance potential. As well, its unmatched reliability and wet weather speed, giving it the ability to pass nearly all out and out Sports Racers during downpours, as many of the overseas professional drivers will attest. Renault Africa's motor sport program also included participation in Rally events, where the R8 was particularly popular with privateers because of its reliability, inexpensive upkeep, and so much useful preparation information freely available for them from the local Renault factory competition department. Also, active help was always offered to the privateers during the events by the factory support team if they needed it. The most important Rally, with international accreditation was the: Total(petrol co.) Lourenco Marques Rally. After 1969, production of newer and heavier models of Renault (R12), with front engines, started to come off the assembly lines, and the R8/10 model became obsolescent, so factory racing support for these vehicles dried up. But privateers still continued to race for many seasons. 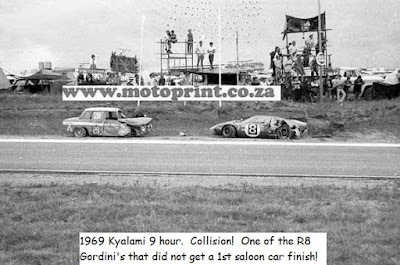 An overall Saloon car lap record was shared at Kyalami (the only events in which the car competed) at one stage during 1968/9 by a 1300cc supercharged Alconi R8 (the engine was a highly modified Gordini 1255cc). Of notable interest to followers of Motorsport, Jody Scheckter, South Africa's only World Formula 1 Racing Champion, started his blossoming career in sprint races with his first car, while still a first year apprentice and brand new licence holder, in a 1300cc Renault R8 with Gordini and Alconi modifications. The Alconi factory later supplied the equipment for the supercharged 1400cc engine with which Scheckter was able to compete and periodically take overall wins (in 1969/70) against 2000cc class BDA engined Ford Escorts, 2000cc GTA Alfa Romeo Sprints and a 7000cc Ford Galaxy. Towards the close of the 1960s decade, it is possible that 1300cc R10s (engine from the R12) might also have been offered from the assembly line. By then, inevitably, the newer and more modern front drive concepts (Renault 12, 16) were being assembled, and the factory switched its support to the new model. 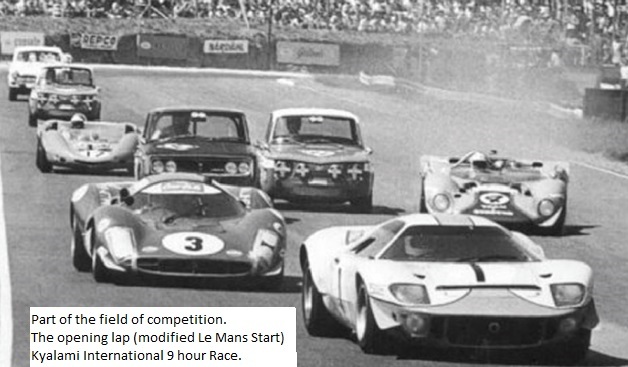 Looking back at the results, these accomplishments look less than astonishing today, due to the robustness, reliability and incredible turbocharged bhp output of modern engines and advanced chassis dynamics. However, it must be born in mind that Karl Benz, Daimler, Rudolf Diesel, Chevrolet, Peugeot, Louis Renault, Enzo Ferrari, Colin Chapman, even Galileo and the Wright Brothers were all enthusiastic pioneers, using only the tools at their disposal to make the admirable breakthroughs of their day. As Carl Sagan expressed so eloquently, all the talented and energetic genii of today were able to see further by standing on the shoulders of the originators. The Renault R8 and R10 Alconi was only marketed off the showroom floor in South Africa as new Renault vehicles . Renault Africa also supplied warranted conversion kits through their parts department. It has become quite sought after as a collector car in that market. 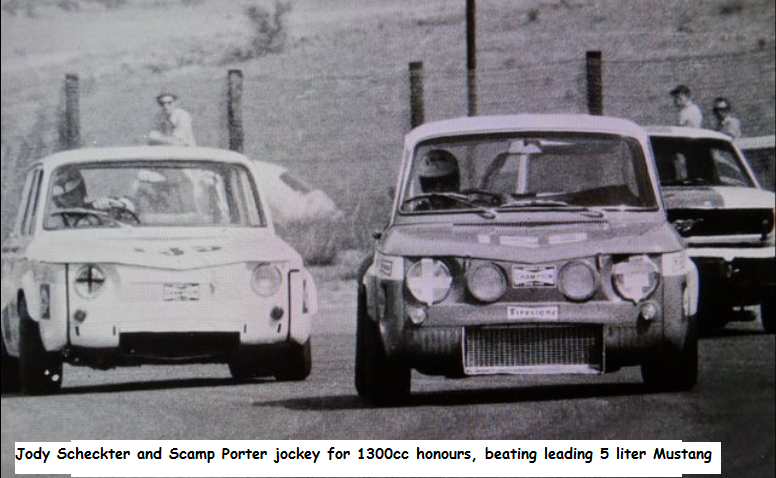 "Scamp" Porter has his 1300cc Race car tested pages 5, 10, 12.